Recent research studies suggest that performing a DNA sequence analysis of cancer tumour cell genes in patients can open doors to new treatments for them. This precision analysis can define mutations in cancer DNA that are driving an individual tumour, categorising it by DNA instead of solely by its site of origin or what can be seen down a microscope. Once a genetic abnormality is identified, a specific targeted therapy can often be selected which will attack the cancer cells which have this specific DNA mutation. This enables clinicians to use targeted drugs in combination with other therapies to directly attack the cancer cells with specific genetic abnormalities. The outcome of this reduces the chances of cancers acquiring resistance to treatment and can also reduce the side effects associated with conventional treatment. Indeed precision cancer medicine is already leading to improved, albeit expensive, treatments for advanced melanoma, lung, colon, breast, and other types of cancer. Based on this, patients would then be given combinations of either surgery, chemotherapy or radiation, although both of the latter can effect healthy as well as cancer cells. Simplistically, they work because tumour cells usually grow more quickly than most normal cells although this is not always so as normal gut and some blood cells also have high rates of cell growth which is why these tissues are more susceptible to damage by chemotherapy and radiation. Furthermore, it is now known that tumours have so-called cancer stem cells (CSC’s) that exist in the cancer but are not actively growing, which means that conventional cancer treatments have little effect on them. Thus, whilst actively growing tumour cells are killed, CSC’s are resistant to therapy and survive to eventually repopulate the disease or even spread to other parts of the body, (metastasis). It is this metastatic spread and not the primary tumour that is the main cause of death for most types of cancer. 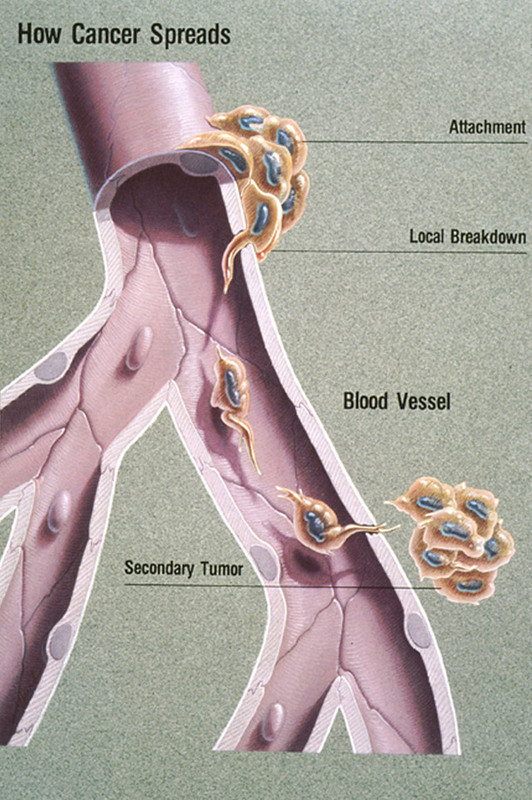 Prevention of this process is one of the most important goals of cancer research. In this regard, researchers hope that combinations of DNA sequencing and other experimental approaches will lead to improvements in precision cancer medicine which can lead to novel therapies which specifically target metastatic spread. Precision cancer medicine is also providing treatments for patients with rare cancers who, by virtue of lack of investment, often have limited access to approved drugs or clinical trials and generally lack disease specific treatments. Although individual rare cancers are uncommon, collectively they still account for around 25% of all cancers. These diseases are scientifically challenging with information often derived from case reports or small-scale clinical studies that do not require major expense. Clinicians at the Rare Tumour Clinic at the UC San Diego Moores Cancer Centre have trialled DNA based precision cancer medicine in a small study on patients with various rare cancers, including sarcomas and cancers that could not be classified, (known as cancers of unknown primary). They looked for cancer-related mutations and alterations in the blood and tumour samples and were able to identify possibly effective treatments for half the patients in their study. Most notably out of 21 patients who received precision targeted treatments, 52.4% either stabilized for at least six months or went into partial, or even complete, remission. Furthermore, 12 patients who had previously received conventional treatments for their rare cancers responded significantly better to the matched targeted treatments. In 2017, the FDA gave accelerated approval for the use of pembrolizumab, (Keytruda), a precision cancer drug for patients with cancer in which the malignant cells have certain identifiable biomarkers irrespective of body location. The prescription of cancer drugs based on precision analysis of molecular genetic changes, irrespective of where the tumour occurs, is clearly the way forward. However it is not all plain sailing. Clinical trials are lengthy and expensive, as are the targeted treatment drugs formulated as a result of such trials – even if they prove successful. A number of clinical trials are underway and others are in the pipeline, but it will be some years yet before the precision medicine revolution comes of age with increased numbers of FDA and NHS approved precision cancer drugs becoming generally available for cancer patients in our local hospital oncology unit – although come it will!! Manchester study raises mammograph issue.